Christmas is fast approaching! I cannot wait!! Well, December is near anyway! Only 8 days away! Christmas preparations have slowly begun here. Mum and dad bought me a Pyrus calendar for this years TV2 Christmas calendar show, am super excited about it! And they (TV2, not my parents) made an app to make it interactive, gonna be super fun to try! I have bought a Christmas candle and chocolate calendars (and Christmas cookies, but they disappear so quickly, that they don't count... Schh!). After the disappointments I had with Toms chocolate calendars last year, this year my choice ended with Ritter Sport! 24 mini Ritter Sports, what could possibly be wrong with that?! Nomnom. 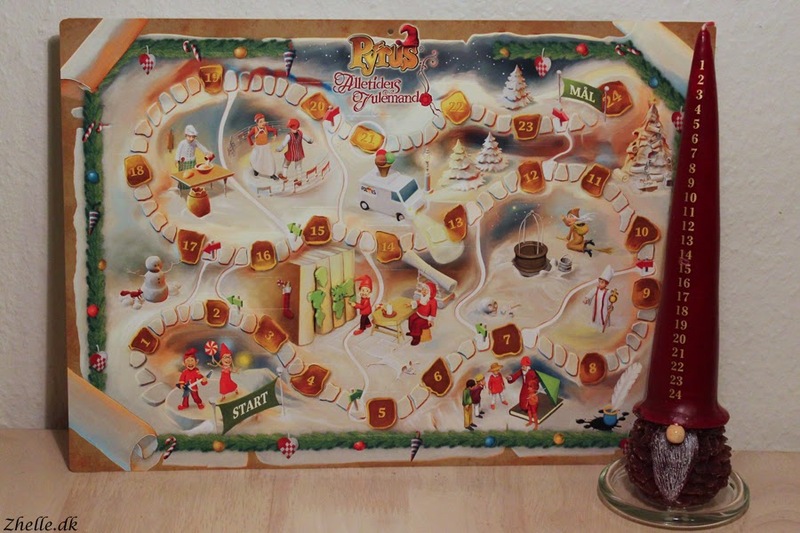 Christmas calendar and the cutest Christmas candle! 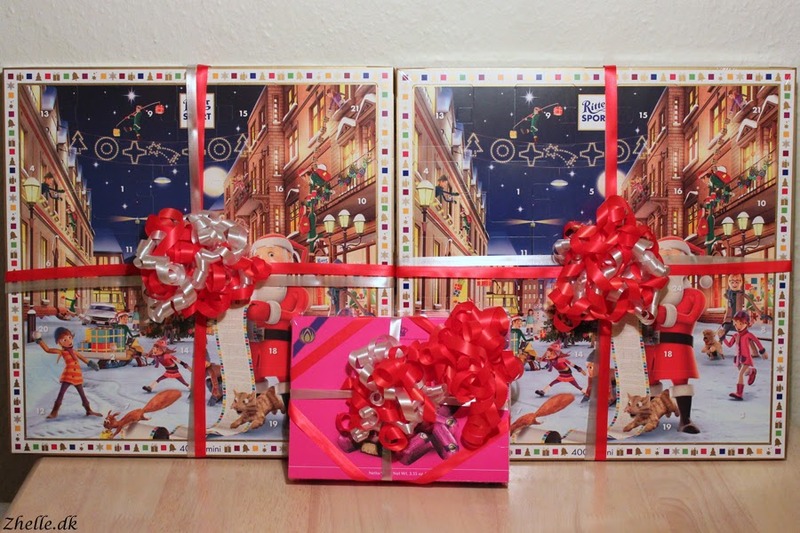 Last year I started a tradition with buying my parents chocolate calendars, so they have calendars waiting here too! My mum is allergic to nuts, so there are a few of the chocolates, she won't be able to eat. I got her marzipan breads for the days those chocolates are featured, and my dad will be the happy taker of the chocolates mum cannot eat. I did go overboard with the ribbon on the marzipan breads, but I am looking so much forward to wrapping presents that I couldn't contain the ribbon craze! Ribbon craze and yummy chocolate! In my last post I considered doing day schedules to be ready for Christmas, but that hasn't happened. I have started two Christmas presents though! A crocheted item and a stitched item has been started. The only annoying thing about presents is that I cannot show you any pictures of them before they have been gifted. That means a big update after Christmas! I will make some Christmas ornaments and such as well, so I will be able to update those along the way. Happy crafting until next time!